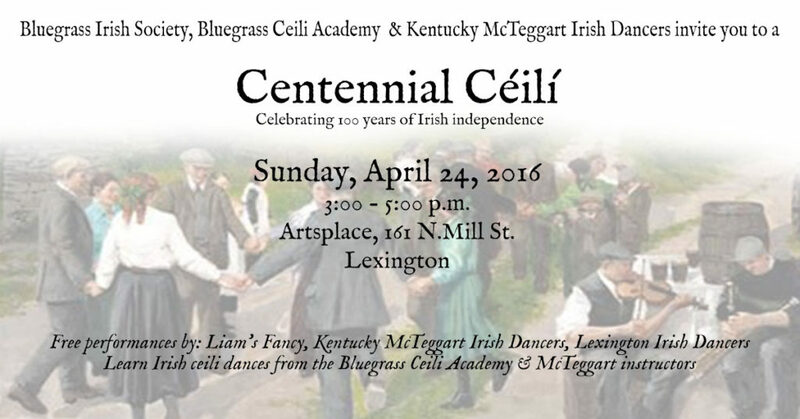 Bluegrass Ceili Academy is the newest member of the Lexington Irish dance community and we couldn’t be more excited about participating in this Sunday’s Centennial Ceili at ArtsPlace. This year, 2016, is the 100th anniversary of Ireland’s Easter Rising. In February this year, the Irish dancing commission in Dublin, An Coimisiún le Rincí Gaelacha, asked its member schools to come together and host local dance events in their communities. “We envisage a grand non-competitive, no costume céilí taking place worldwide, preferably on April 24th involving as many people as possible: dancers, families and friends,” CLRG asked. In the Lexington Irish dance scene, two schools are affiliated with CLRG — the Kentucky McTeggart Irish Dancers, who have been a part of the community since the mid 1990s, and Bluegrass Ceili Academy, which was founded last fall when academy director and fifth generation Lexingtonian and Irish dance instructor Megan Moloney returned home after two decades in Washington, D.C. But Lexington’s Irish community is far wider and more vibrant than two dance schools. That’s why we’re making this about our community.The Bluegrass Irish Society is sponsoring the event, along with the Lexington Celtic Association, the Kentucky Rose of Tralee Center and Failte Irish Shop. Central Kentucky Irish band Liam’s Fancy is providing the soundtrack. The Lexington Irish Dancers and the McTeggart dancers will be performing and teachers from Bluegrass Ceili Academy and McTeggart will be teaching group dances to all attending. It’s sure to be a Sunday afternoon packed with music, dance and, as the Irish say, craic! 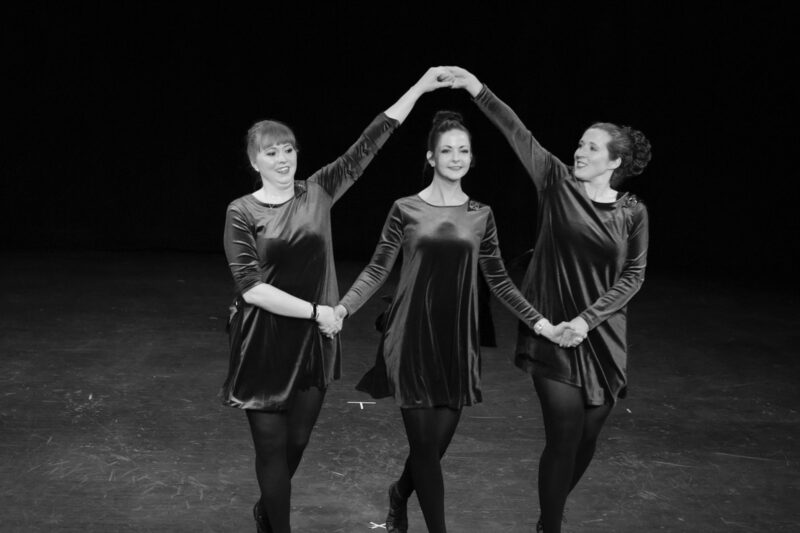 ← Lexington Irish dance schools invite you to dance with us!